The Porsche 997 launched in 2004 with a Carrera, complete with a 321bhp 3.6-litre version of the flat-six used in its predecessor the 996, and a Carrera S that boasted a 3.8-litre version of the same engine capable of generating 355bhp. Both were available with a six-speed manual gearbox or a five-speed Tiptronic auto. These early cars have proved reliable and used 997s enjoy a first-time MoT pass rate in excess of 85% (with minor headlight problems the most common cause of failure). As is usual with the Porsche 911, the model range quickly expanded and Carrera 4 and 4S, Turbo and GT3 variants arrived over the next couple of years, along with a 204mph GT2. 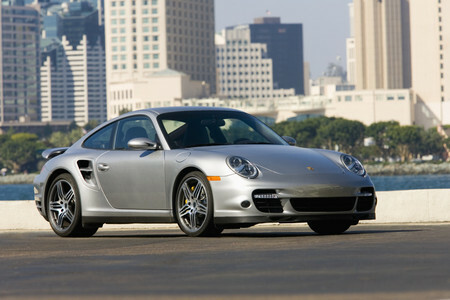 The 2009 model year saw the launch of the second generation 997, which featured a new engine with direct fuel injection and more power (340bhp in the 3.6 and 380bhp in the 3.8). Other changes included the replacement of the Tiptronic with the PDK twin-clutch auto, improved suspension and a new front bumper design. 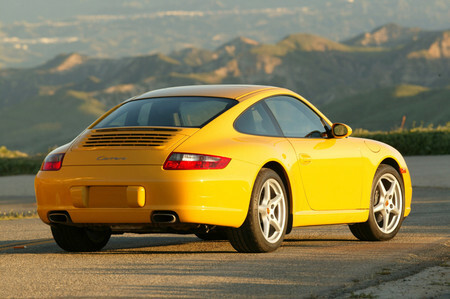 Prices for the second generation 997, which was manufactured until 2012, remain relatively high and are likely to do so for some time. This is partly due to limited availability, as the financial crash saw the number of new 911s sold dip, which is now having an impact on the used market. Whichever version of the 997 you buy, you should end up with a car that is great to drive and will last for years if well looked after and serviced regularly. However, there are a handful of known issues to be careful of, including some that require specialist equipment and trained staff to investigate. We offer a full Pre-Purchase Inspection at the Revolution Porsche workshop in Brighouse, West Yorkshire that will help you to spot expensive problems before you agree to buy or give you peace of mind that the used Porsche 997 you’ve chosen is in great condition. Early Porsche 997 Carreras can now be bought for less than £20,000. A full service history, preferably accompanied by invoices for any work that has been undertaken, is desirable when buying any used car, but it is particularly important with a Porsche 911. A high-performance car needs to be maintained by experts, following the correct service regime, to remain in top condition. Tread very carefully with any 997 that has been maintained at non-specialist garages, as it is likely to be a sign that the owner has not taken great care of it. Good mechanics who haven’t had Porsche training can easily miss problems on these cars, simply because they don’t know what to look for, so it is much safer to buy a 997 that has been looked after by a specialist. The service history and invoices should also tell you if any repairs have been completed and whether OEM or Porsche parts and fluids were used. The invoice for the last service should be particularly useful, as the list of advisories will give you an idea of what jobs (and costs) are imminent. If you have searched any online Porsche forum for information about the 997, you are certain to have seen discussions about over-rev events and how important they are. 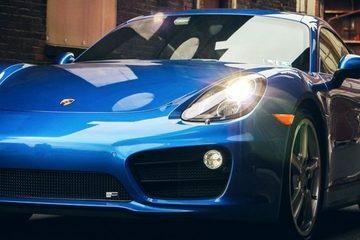 Some enthusiasts believe they are simply an indication of a sports car being driven ‘enthusiastically’ (something more cautious owners may describe as being ‘thrashed’), but Porsche takes the problem very seriously and over-rev events can invalidate manufacturer warranties. An interrogation of the ECU will tell you how many over-rev events (when the rotational speed of the engine reaches or goes over the rev limiter) there have been and how recently they occurred. Both parts of the result are significant and could raise concerns about the car. Damage caused to the engine by the over-rev event may not become apparent immediately, so you need to be careful of any 997 that has suffered one in the past 50 operating hours. 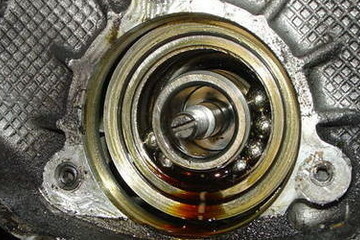 A high volume of over-rev events could be a sign that the engine has been consistently over worked throughout its life. The ECU records the data in six separate ranges and events in ranges 1-3 are not usually considered to be as serious as those in ranges 4-6. But, it is not simple enough for rules of thumb to be of much use and you’ll need an expert to interpret the results. This should only be an issue on manuals, as it should not be possible to push Tiptronic and PDK models past the limiter. However, while over-rev events on autos are rare, they are not entirely unknown and if you are spending £20,000 on the car, it is well worth having the check done. The Revolution Porsche Pre-Purchase Inspection includes Rev Ranges and our trained technicians will flag up any concerns in the final condition report. Checking the Rev Ranges is essential before buying a Porsche 997. The notorious and costly IMS bearing failure – which can result in catastrophic engine failure – was an issue with the earliest first generation 997s, but the introduction of a stronger factory-fitted bearing in late 2006 largely solved the problem. You should try not to worry about it if the 997 you are looking at is model year 2007 or later, as the larger bearing is much less likely to fail and cannot be retro-fitted without a full engine strip, but it is worth asking some questions if it is older than that. Find out whether the owner has had the factory-fitted IMS bearing replaced by the highly-effective retrofit solution, in which case you can be confident of avoiding any problems. If not, make sure you have a specialist take a look at the car before you buy it and think carefully about having the retrofit ceramic bearing installed as a precaution. Another issue you are likely to have read about on Porsche forums is bore scoring, which can also lead to engine failure. The extent of the problem has been exaggerated and in reality it has only affected a very small proportion of 997s; although that will be of little consolation to you if it happens to your car and you are left with a repair bill for thousands. Bore scoring isn’t a problem for the direct fuel injection engines of the second generation Porsche 997 or for the first generation Turbos and GT models. With the first generation flat-six engines, it is most likely to occur on the 3.8 but is rare on the 3.6. The key symptoms to look for are a blackened nearside exhaust tip or a tapping noise at idle. If you spot either of these, or even if you don’t and you just want reassurance that a major problem is not imminent, arrange for a borescope inspection before agreeing to buy. One of the most off-putting things to encounter on a test drive is a misfiring engine, but it isn’t necessarily a sign of a major problem. If everything else looks ok with the used Porsche 997 you are interested in, arrange for a specialist to inspect the car before making a final decision. The most common reason for misfires is a crack in the coil packs due to them being exposed to high temperatures in their location next to the exhaust. They are likely to need to be replaced several times during the 997’s life, but fortunately it is a simple and relatively inexpensive fix. 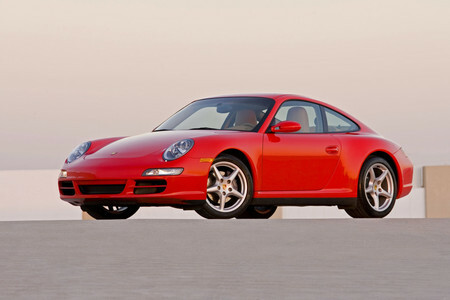 A misfire during the test drive shouldn’t necessarily deter you from buying a used Porsche 997. You shouldn’t find too much to trouble you here, as both the manual and auto gearboxes have proved to be highly reliable and clutches have a life expectancy of around 50,000 miles, unless the car has been driven hard. Find out whether the used 997 you are considering buying has had a clutch replacement and, if so, check that the work was completed by a Porsche specialist using genuine/Porsche approved parts. The invoice for the job should contain all the details. One thing to be aware of is that the manual gearshift cable is prone to failure and is likely to require replacing at some point. As you would expect from Porsche, the brakes on the 997 are excellent. Of course, pads and eventually discs are wear and tear items, so need replacing occasionally. If the current owner has had them changed, check that the work was carried out by a Porsche specialist using genuine or OEM parts. The biggest problem you are likely to encounter is corrosion on the inner disc faces if the 997 has not been used regularly. It is difficult to spot, so it is well worth organising an inspection by a specialist if you are considering buying a low mileage example. Ceramic brakes were available as an option and they do provide exceptional braking performance, making them ideal for track use. However, they cost at least four times as much as standard steel brakes when they need to be replaced, so think carefully before agreeing to pay extra for a 997 with them fitted. The suspension is another of the Porsche 997’s strong points – particularly in the Carrera S, which has Porsche Active Suspension Management (PASM) as standard – and is very durable. The lower control arm bushes usually wear out after three or four years; a creaking noise from the front suspension is a sign that they are on the way out. It is a simple and relatively inexpensive job for a Porsche specialist to replace them. The coolant radiators and aircon condensers located behind the vents in the nose are prone to leaks, often caused by stone chips or corrosion resulting from leaves and debris being allowed to gather around them. The vents in many Porsche 997s are only cleaned out when they are serviced, as they are difficult to access without removing the bumper, so it is no surprise that the radiators behind them are in poor condition after two or three years. Some owners have opted to fit pieces of mesh behind the intakes to help protect the radiators and condensers. But even if the 997 you are interested in has had that simple modification, it is sensible to get an expert opinion on the condition of the coolant radiators and aircon condensers before buying. Damage to the radiators can lead to overheating and to the condensers, a loss of aircon, and there is no alternative to having them replaced, which can be an expensive job. Damaged radiators are one of the most common problems to look for when buying a Porsche 997. Some early Porsche 997s had issues with short battery life and regularly failing to start. The problem was related to the original factory-fitted alternator cable and solved by replacing it with an upgraded cable; theoretically a simple job, but the routing made it tricky and time consuming even for skilled technicians. It should have been dealt with years ago (probably under warranty), so you are unlikely to find an early 997 with the issue now. The 997’s wheels, particularly the 19-inch alloys on the Carrera S, are susceptible to kerbing damage and expensive to replace. Check them carefully and if they need replacing or refurbishing, make sure you take that cost into consideration when deciding how much to offer. Condition of the tyres is the second most common reason for a Porsche 997 to fail its MoT, so as with any used car purchase, it is important to check the rubber. N-rated tyres can be expensive, so remember to take the cost of any imminent replacements into account when buying. The most common place for them to wear prematurely (due to incorrect wheel alignment) is on the inside edge. As you might expect for a car which carried such a hefty price tag when new, the bodywork on the 997 is of the highest quality and rust is not a problem. Other than stone chips on the nose section (which some owners chose to have resprayed) and small marks or indentations on the bonnet caused by them being pressed down too hard when being closed, the bodywork should be perfect. Any sign of rust, repairs or large areas being resprayed are likely to be evidence that the car has been in an accident. Ask for details of the original damage and to see the invoices for the repairs before taking a view on whether to go ahead with the purchase and how much you want to offer. If in doubt, ask a Porsche specialist to inspect the car and assess the quality of the repairs. 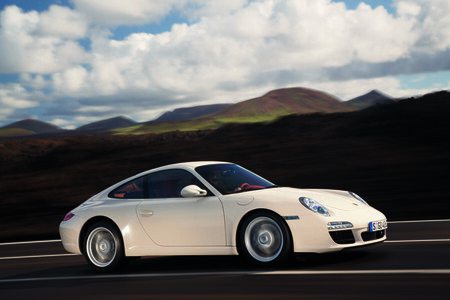 If you are planning to purchase a used Porsche 997, Revolution Porsche can help to reduce the risk involved. Book the car you are interested in buying into our Brighouse workshop for a Pre-Purchase Inspection and our experienced Porsche technicians will carry out a full visual and diagnostic check, including Rev Ranges, before compiling a comprehensive car condition report. The inspection costs £150 +VAT, with the additional reassurance of a borescope inspection available from a further £99 +VAT. Call us on 01484 717342 or contact us via the website to find out more or to book a car in.